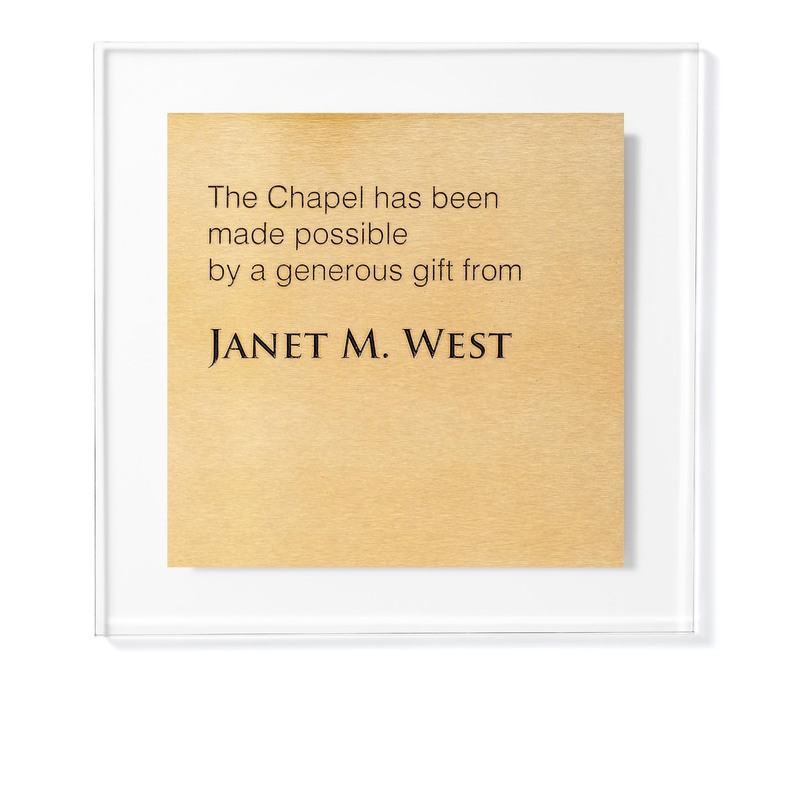 This donor plaque is 1/4″ thick clear or frosted acrylic with a metal face. The text and graphics are UV printed (print dries in ultra violet light, giving it a more vibrant color), on aluminum that is anodized to look like brass or silver. 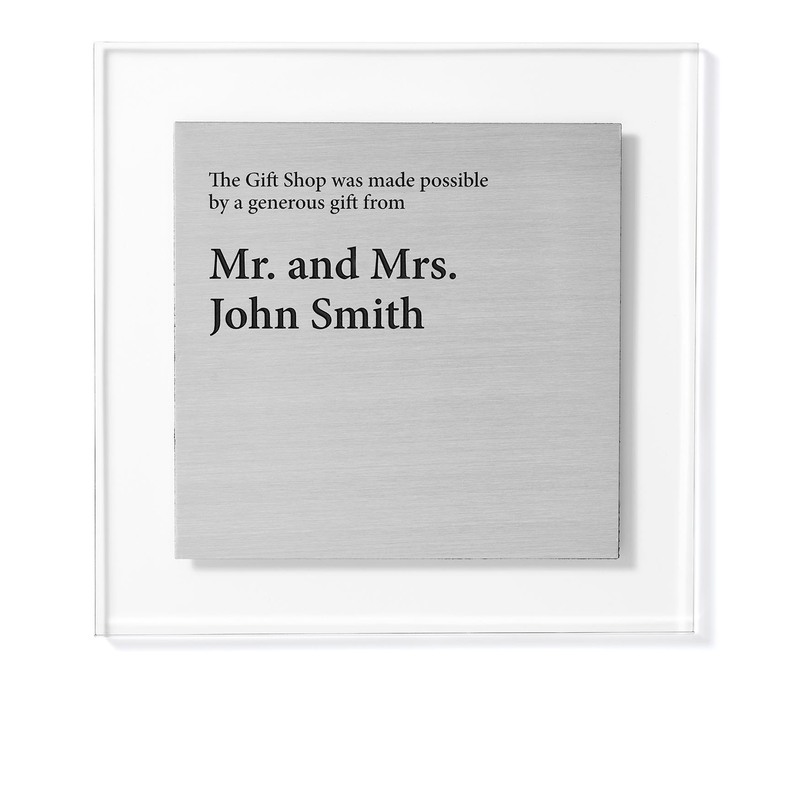 These donor recognition signs are also offered in a premium version, text and graphics are deep etched in 1/8″ zinc that is colored to look like brass or silver. It typically takes our designers 1-2 business days to create a design layout of your plaque. This detailed shop drawing is submitted for your signed approval before payment is needed and production begins. Revisions are welcomed; we want to work with you to create the perfect recognition for your organization. Fill out the form below to see what your Arte Impresa Donor Wall will look like; Please specify if you have desired font, logos, or color preferences. Installation for this donor recognition plaque is simple. Plaques are installed by peeling back the tape liner, applying several dabs of silicone to the back of the sign and using a level to make sure the plaque is aligned correctly. Full instructions, 3M tape, & silicone are provided with every plaque. We ship our products through UPS Ground; it typically takes 2-4 days to arrive. 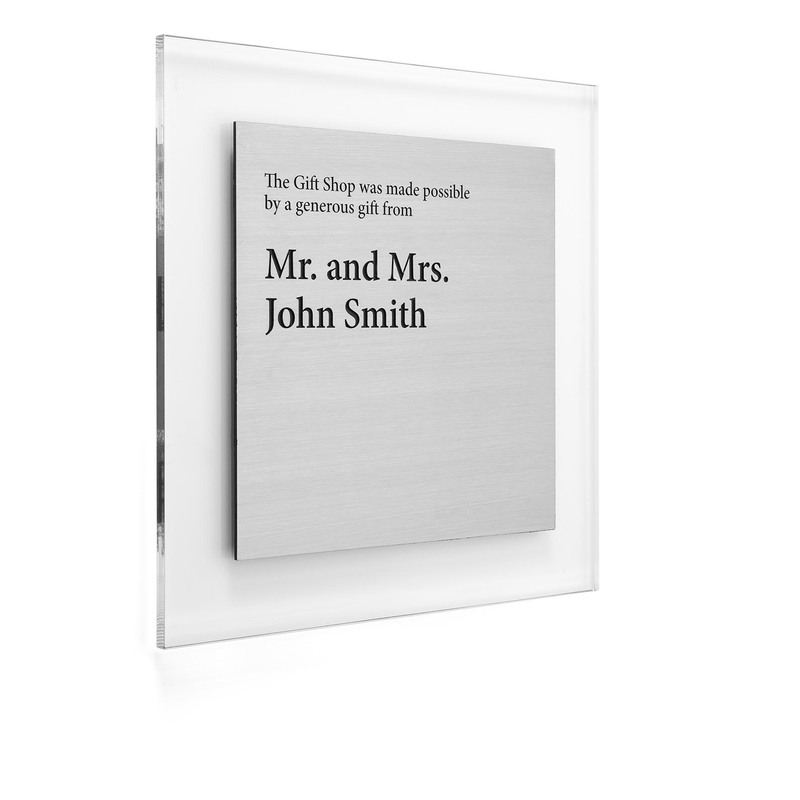 This donor plaque is a clean, simple, straightforward design that fits comfortably in almost every type of facility. Fill out the form below to see what your Fersk Acryl Plaque will look like; Please specify if you have desired font, logos, or color preferences. Comes with UV printed lettering and ships in 1- 2 weeks Includes etched and paint filled letters and take 3-4 weeks.